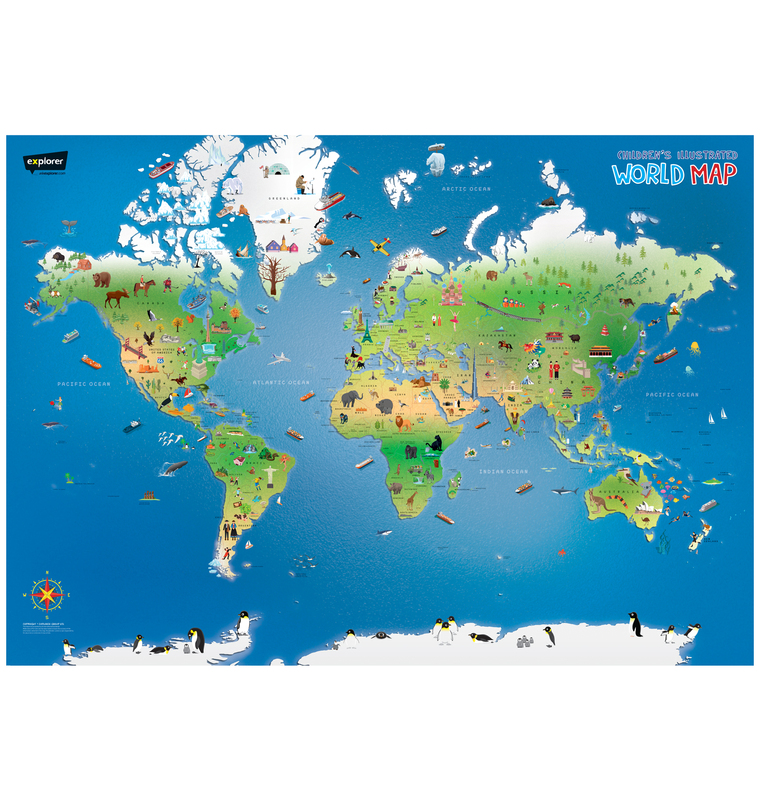 Bring people, places and animals from all around the globe right into your own home or library with Explorer's Children's Illustrated World Wall Map. With hundreds of lively, colourful illustrations, this wall map makes learning about our wonderful world entertaining for kids of all ages. Whether you hang it in the classroom and use it as a teaching aid, or in the playroom as fun wall decor, this must-have wall map is sure to keep kids amused for hours.